Several veterans organizations in central Louisiana donated money in an effort to help restart the group. Mr. Gene Brooks revived and recruited new members in 1999. On March 11, 2000 new officers were elected. Mr. Dennis Puckett was elected as commander of the reorganized unit. 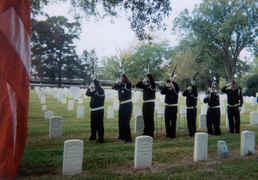 The Alexandria - Pineville Veterans Honor Guard has grown from 6 members in 1996 to 17 members in 2001. Our organization operates from donations only. Funds are used to pay for ammo, travel expenses, etc. Donations come from several veterans organizations in our community. 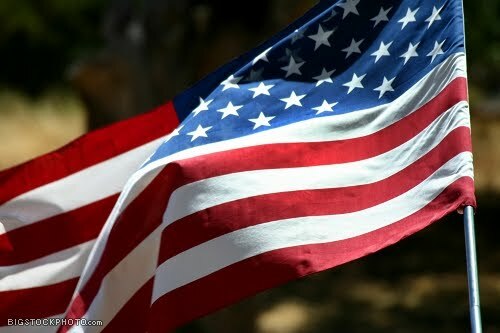 Located in Central Louisiana, we have rendered honors to veterans as far south as Sulfur La. On behalf of the Alexandria - Pineville Veterans Honor Guard we would like to dedicate this web site to Mr. Gene Brooks and our fellow veterans who have gone before us.